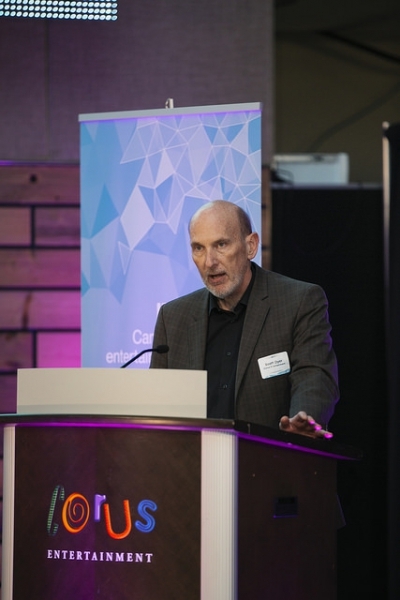 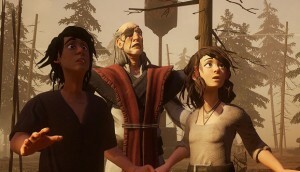 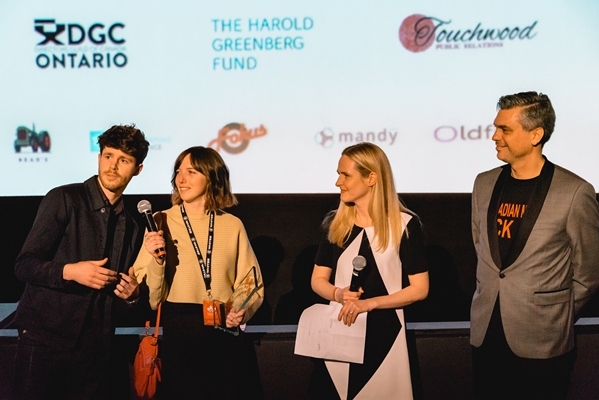 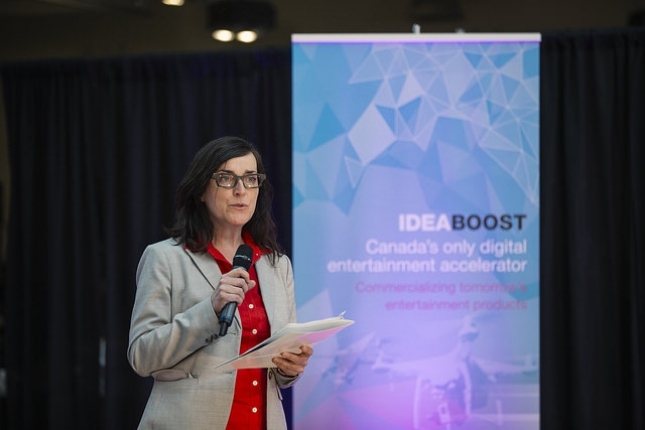 The fourth cohort of digi entertainment companies to graduate from the Canadian Film Centre's ideaBOOST program was celebrated at an event held Wednesday evening. 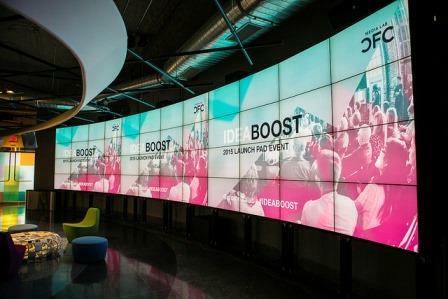 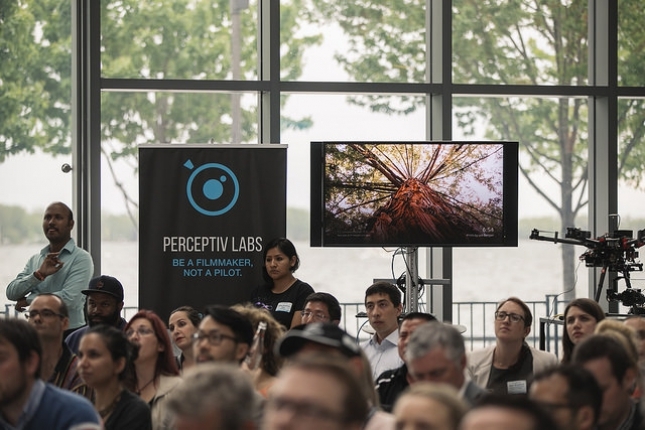 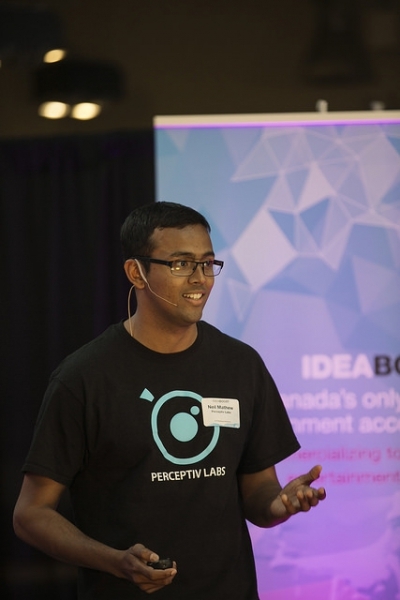 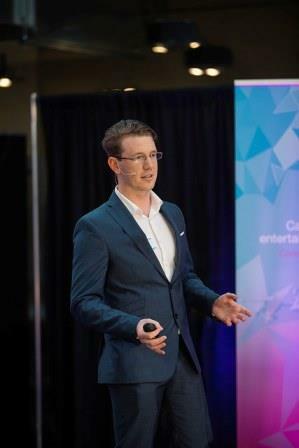 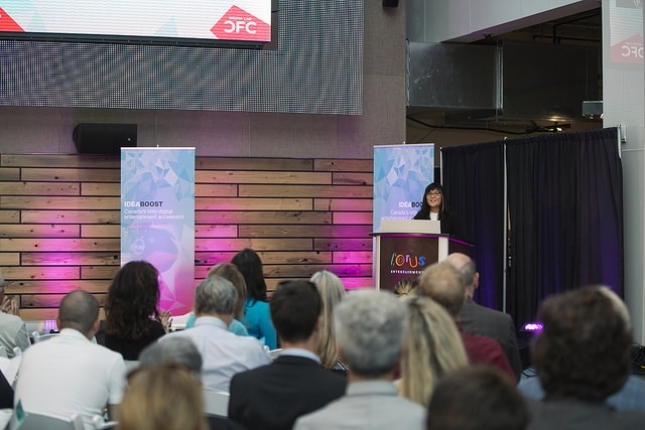 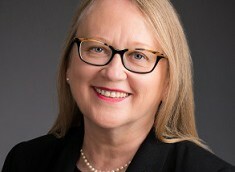 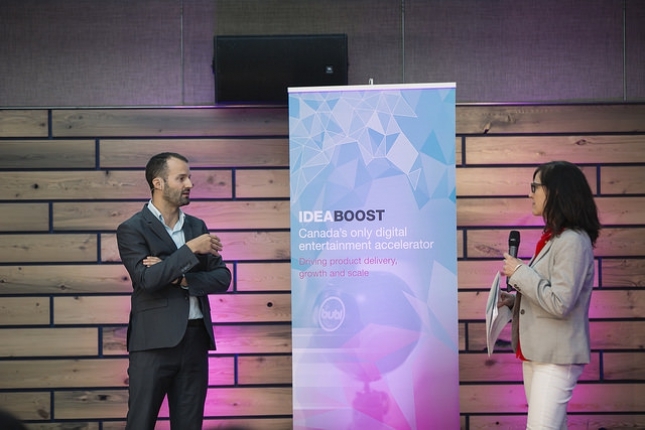 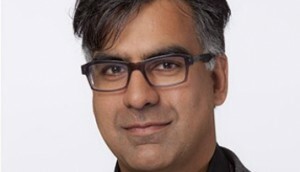 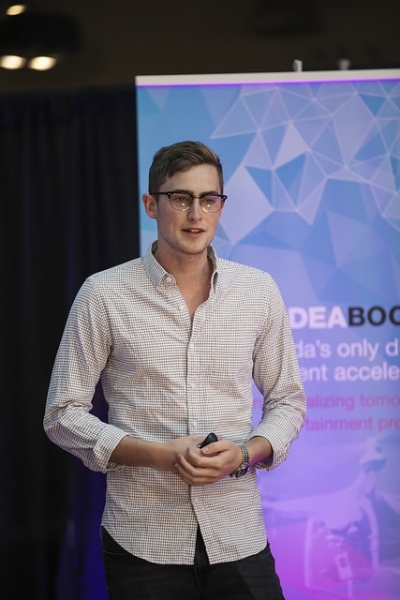 This week, the minds behind the six digital media companies selected to participate in the Canadian Film Centre’s ideaBOOST accelerator marked their completion of the program by presenting the strategies behind their companies at a showcase event in Toronto at the Corus Quay building. 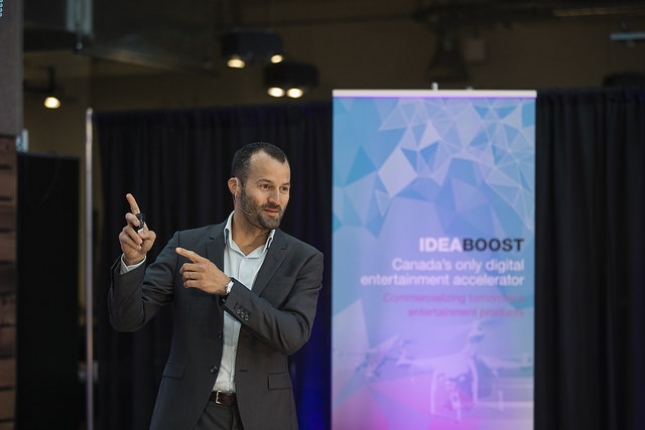 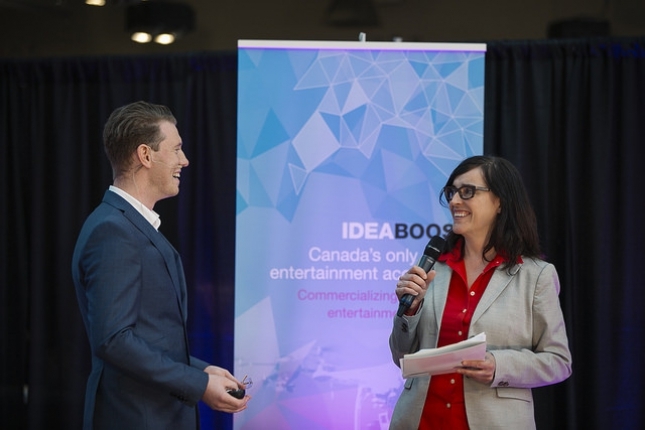 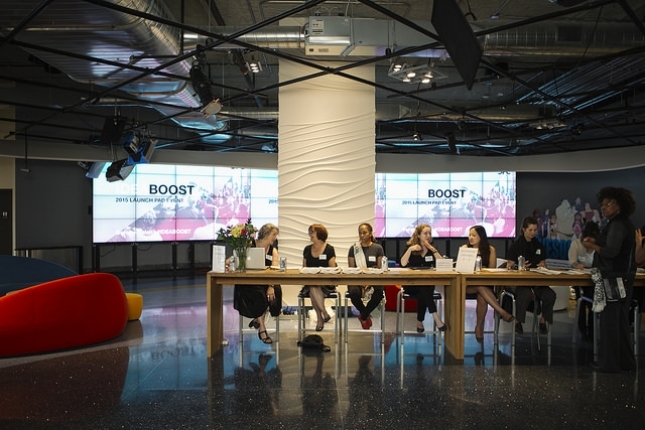 The IdeaBOOST program supports companies developing next-gen technologies and products focused on the entertainment industry. 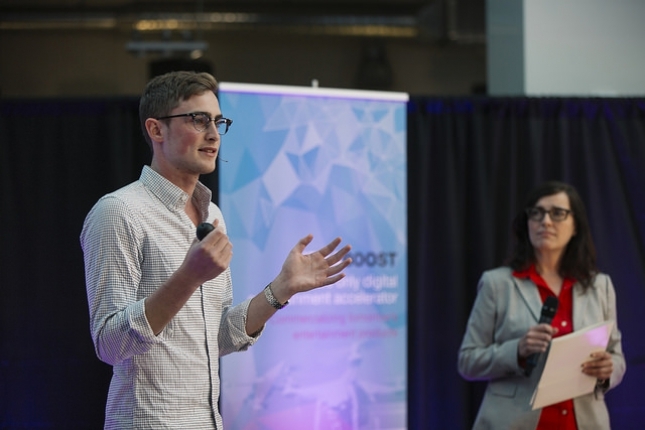 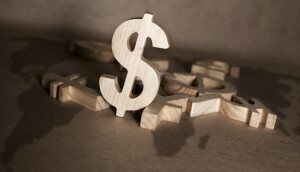 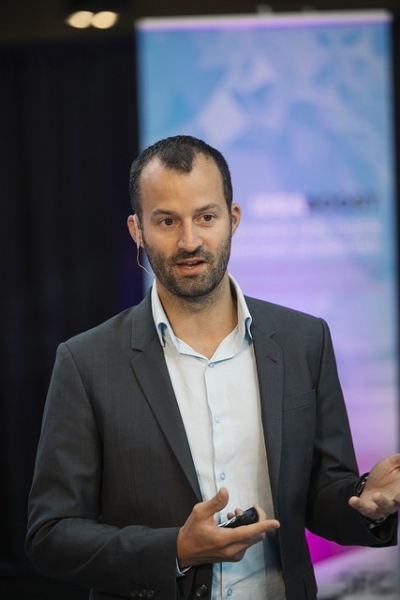 The four-month program aims to scale up these companies or to help them get market- or investor ready, by providing global mentorship, financial modeling, pitch and packaging training and $15,000 in capital. 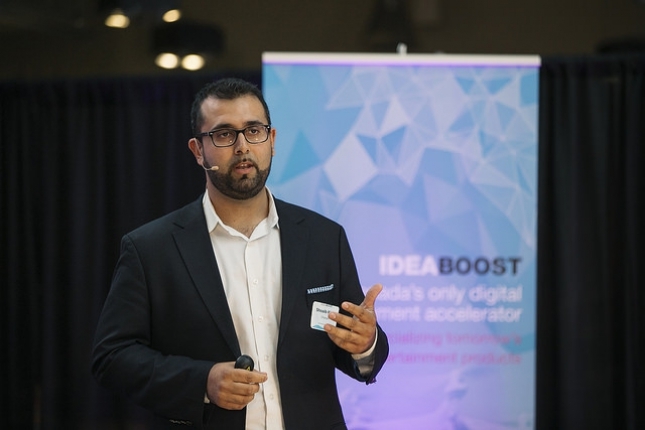 The graduating companies from the fourth cohort of the ideaBOOST program are StageTEN, changio, SlimCut Media, PerceptivSHIFT, MBLOK and TuneStars. 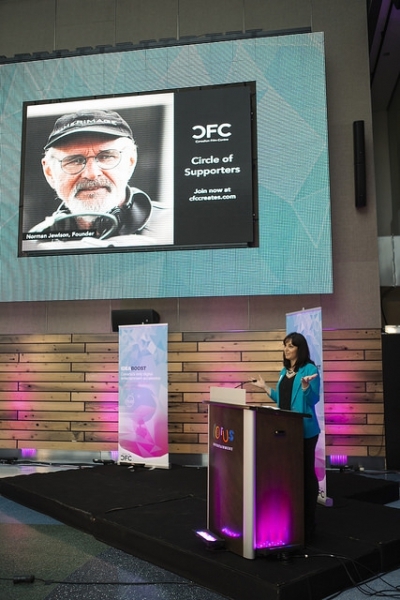 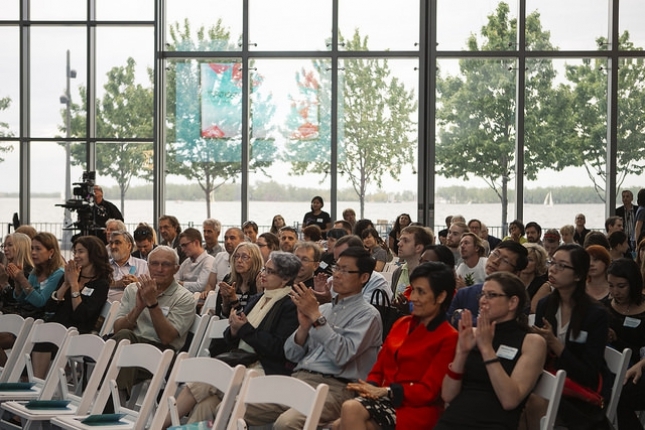 Click on the images below to see photos from the showcase event held to celebrate the accomplishments of the latest class.